I discovered this bridge while hiking alone in Nicaragua. Some Nica friends had told me that if I followed the path that was pointed out to me, I would arrive at a very secluded beach on the Pacific Ocean. I was not told that I would have to wander through salt flats (which were awesome) and wind through a woods of thorny bushes and cross over this very cool bridge. I got lost (which I tend to do now and then) and was thankful when a few local guys let me follow them. I had grown suspicious of men over the years and tended to put up barriers to ‘protect myself’. One of my desires on this trip was to break through as many of the lies I have allowed to fester inside of me and gain some more life freedom. Out with the old, and in with the new, ya know. When I got lost following the sun and stepping off this bridge, I heard voices. I turned and saw these young men – it was just me and them for as far as I could see. I took a deep breath and…smiled, ‘on your way to the ocean?’ I asked. And they were and here I am – I have lived to tell the tale. It is good to ‘follow the sun’ every day, to face our fears and leave more and more of our old worlds behind. I am certain that many of you reading this can relate. Doesn’t it seem to you that many times our fears and our ‘old worlds’ are intertwined? Let us help one another follow the sun! Doesn’t it feel great to create a goal, plan it out and then ACCOMPLISH IT? Yup, it feels so good. 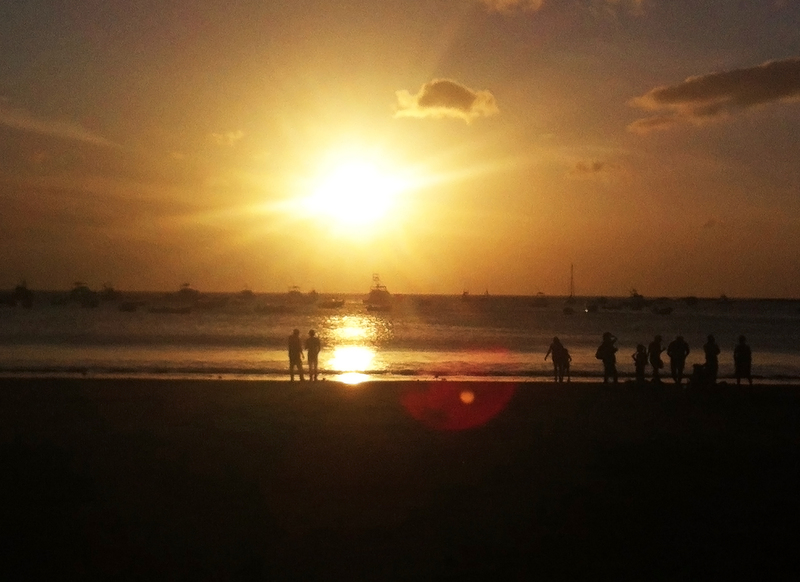 I made it to Nicaragua (with lots of help from my friends as always), driving 1800 miles and then flying from Ft. Lauderdale!!! (How strange that it was easier to do that alone than to write a blog post – sheesh, Cheri). I landed at 2am on March 13th in Managua, the capital of Nicaragua. My plane was full of surfers and young adventure travelers – listening to their tales was great entertainment. After I went through customs and baggage claim, I sighed a great sigh of relief. I did not want to take a cab that late and there was Yettie Osorio – a close family friend, waiting to give me a ride to her home. Connections! My theme for this season of my life rocks. Yettie insisted that I use her bedroom. 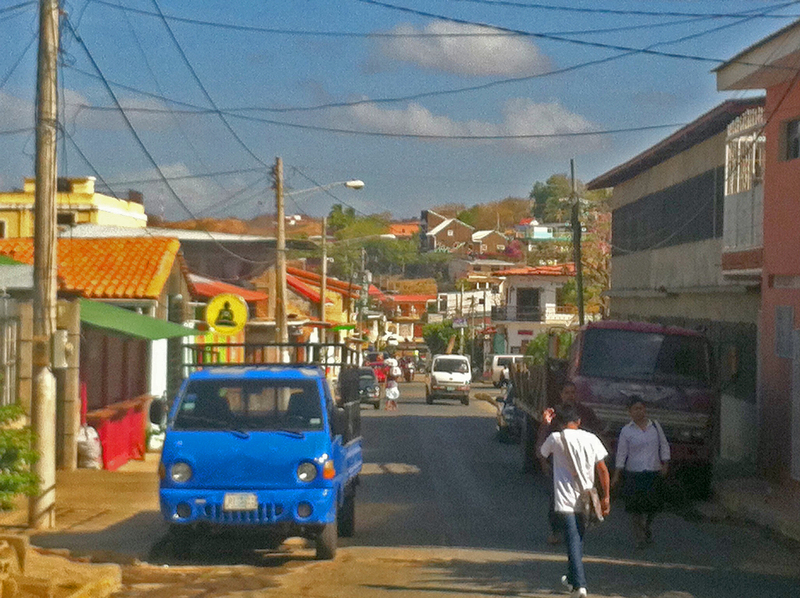 That is so very Nica – their hospitality is consistently incredible. The next day was Friday and Yettie offered to take me to lunch. Here in Nicaragua the people try not to eat meat on Fridays during Lent. Their Sopa de Queso (Cheese Soup) is popular for these Friday meals, so my adventure of the day was to try this dish at a traditional restaurant called ‘Dona Haydee’s.” It really was delicious! My son-in-law, Javier Baldovinos (known as Baldo) picked me up and off we went to San Juan del Sur, where he and my daughter Sarah run a guest house called Casa Ariki, In upcoming posts, I will proudly introduce you to this fantastic Pacific coastal town, where the choices for fun are many. I packed my Wagon on February 3 and handed the keys to my apartment to a friend who will be staying there while I am gone. 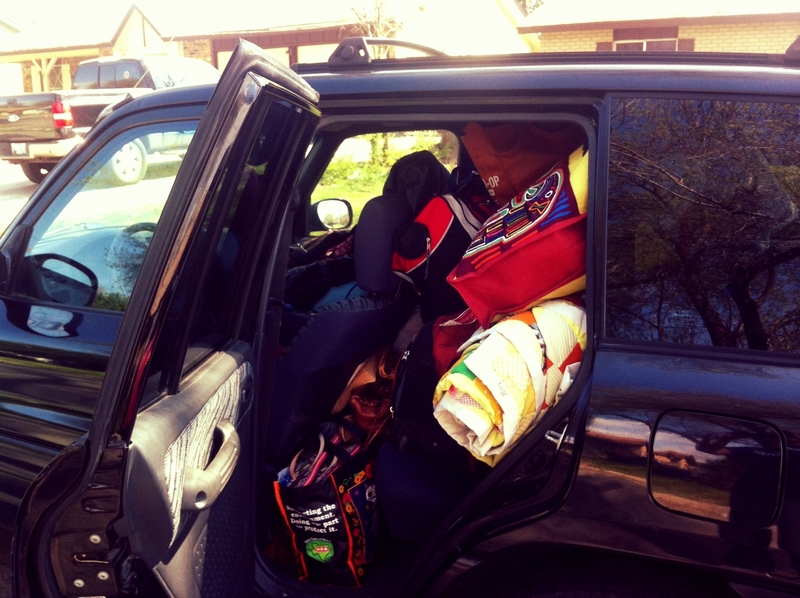 (Note, I was much more organized by the time I left San Antonio – I can see out my back window). Where am I going? I am writing this from a hotel near Lafayette, La., on my way to Florida and then flying to Nicaragua, staying for a month, returning to my Wagon and then, who knows – not me. Why? I was at a crossroads in my life, I knew I needed to begin to write and felt very stuck. I was not connecting with enough people and I wanted a change, a challenge and felt compelled to empower myself to radically reach out to life. I want Missions of Grace to flourish but also, I want ME to flourish, to become unshackled, to become all that I can be, and that will flow to MOG, I just know it. Someone told me the other day that I was a good Story-Getter. I love people, I love to draw them out and get them to share their story and pass it on to you. From Louisiana Crawdad eaters, to Florida seniors, to Nicaraguan vendors in the streets and remote villagers – I want to connect with them and share with you. I even bought a new camera so I can take videos and photos. Please understand that I am new to this blogging and a bit rough around the edges. Be patient with me and help me learn and improve. I welcome your comments – I consider you part of my community!